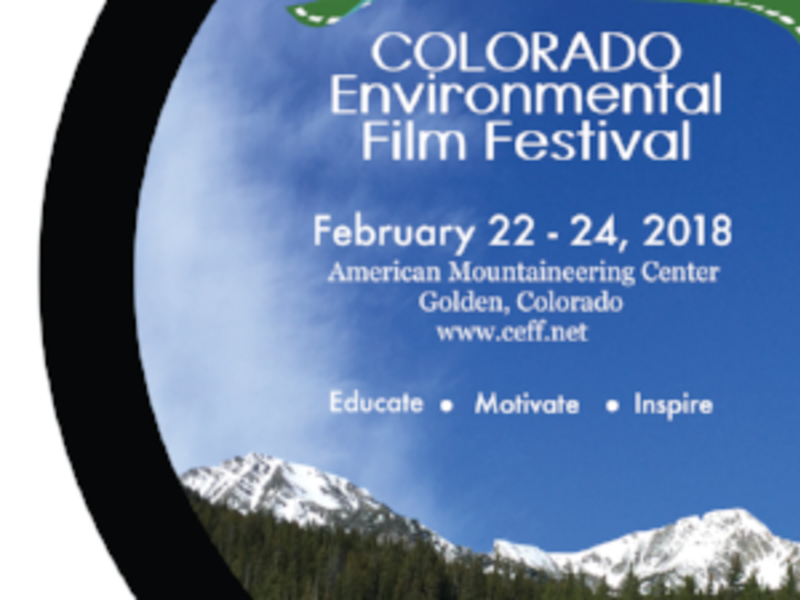 The 12th Annual Colorado Environmental Film Festival (CEFF) brings a record 53 environmental films to Golden, Feb 22 – 24. Head to the American Mountaineering Center, the CEFF is more than a film festival, it’s an inspiration to take action. Opening Night & Free Community Night, February 22—This ticketed but free event includes a reception with drinks and light appetizers, opportunities to interact with local businesses, a special silent auction benefiting CEFF programs, and the screening of Chasing Coral. Recently short-listed for a feature documentary Academy Award, Chasing Coral looks at coral reefs around the world, which are vanishing at an alarming rate. Zach Rago, one of the stars of the film, will attend the screening and participate in a Q&A session following the screening. CEFF will also announce the five selected 2018 Award Winning Films at the close of the evening. Reserve your free ticket today. Seating is limited! Eco-Expo Call2Action, February 23 & 24—This free event is open to the public and answers the question, “What can I personally do to affect this issue?” The Eco-Expo features solutions-based organizations focused on environmental issues. Film-goers come out of our theaters galvanized to take action on a multitude of environmental concerns presented in the films. Environmental Photography Exhibition, February 22-24—The Environmental Photography Exhibition and Reception (on February 23) have become a much-anticipated part of the annual film festival. The free reception for the photography exhibition happens on Friday night with a keynote address entitled “Pretty Pictures Are Just Not Enough” by Kerry Koepping, Director of Arctic Arts Project. Complimentary drinks and appetizers are served. The exhibition continues to be on display at the American Mountaineering Center through April 27, 2018. Themes for this year’s films range from rivers, transportation, and climate change to endangered species, food/farming, and more. Countries submitting films include the United States, Australia, India, China, Mexico, Canada, Costa Rico, Slovakia, Indonesia and Brazil. A full line up and more information, can be found at www.ceff.net.